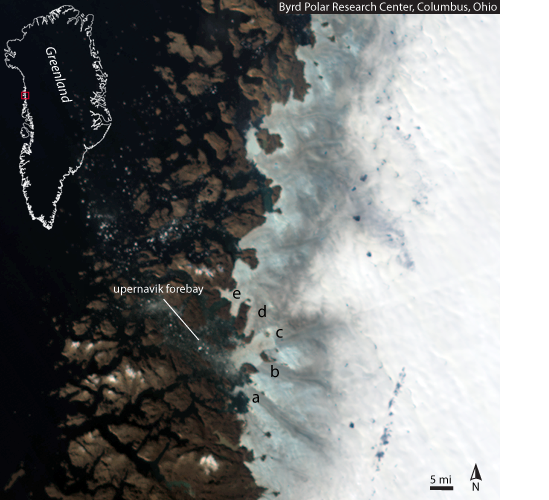 Box and Decker (2011) focused on the changes in the terminus of 39 Greenland Outlet glaciers from 2000-2010. Of these 35 had experienced net loss with the collective loss of 1593 km2 over the last decade. (Box and Decker, 2011). The retreat has occurred irrespective of the different characteristics of various glaciers (Bailey and Pelto, SkS) One of the glaciers in this group is Upernavik Glacier on the NW Greenland Coast. The Upernavik Glacier refers today refers to an increasing number of separate termini that were one termini up through 1950. Jason Box of Ohio State focused on the different termini in a 2008 post, commenting on the separation of termini A and B. Here we will focus on the development of two new islands between 2002 and 2010 due to the retreat of termini C as identified by Box and Benson in the image below. Upernavik Glacier area map from Box and Benson. 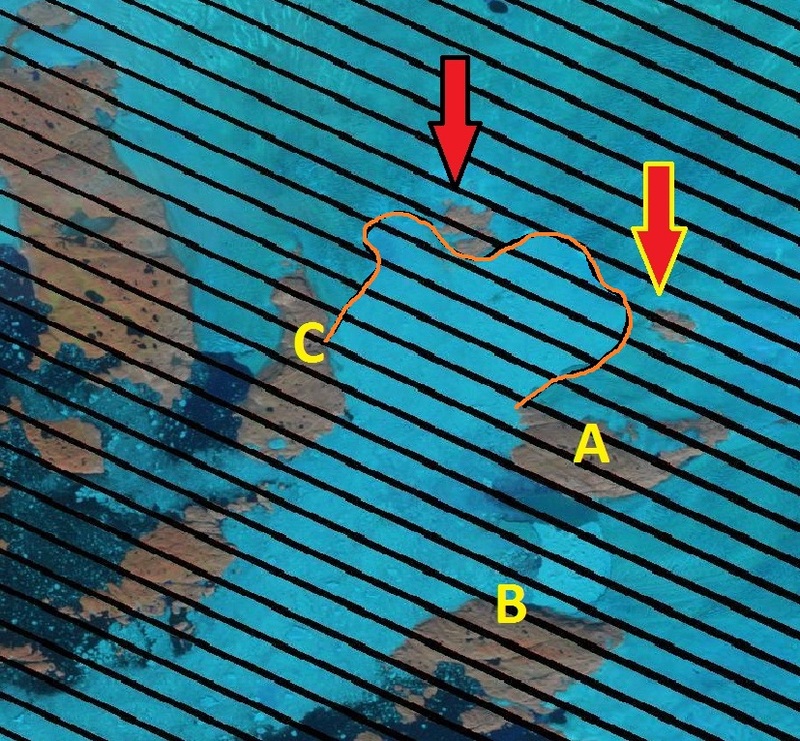 There are three marginal rock islands at the icecap periphery that are consistently labeled in the images below A, B and C. In addition the two arrows indicate two former nunataks, surrounded by ice in the 2002 Landsat image (top image below), and are now becoming rock islands at the glacier front in both Landsat 2010 (middle two images) and MODIS 2011 image (bottom). 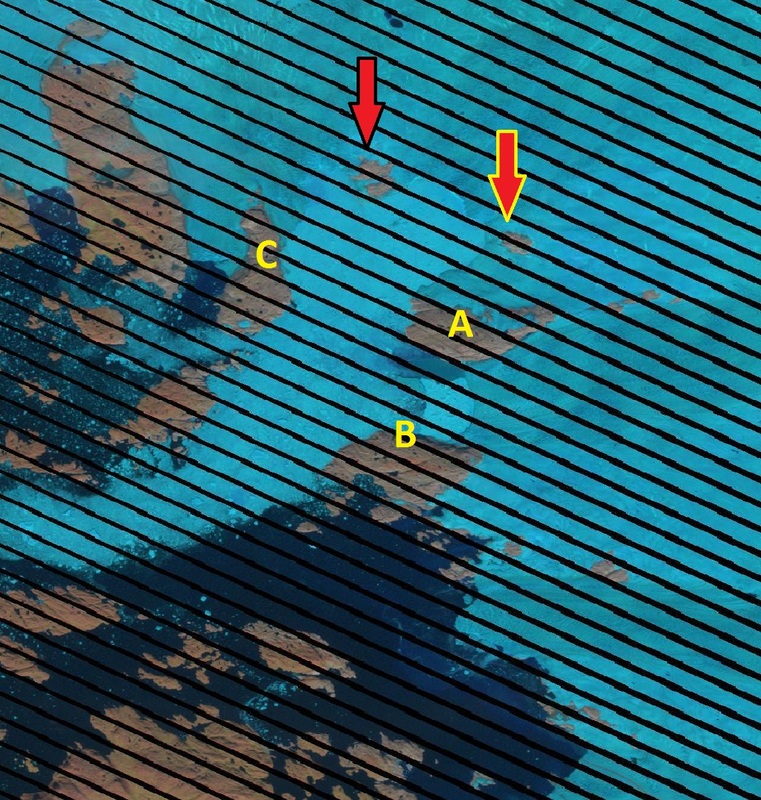 In the closeup Landsat image the glacier front is indicated in orange, beyond the terminus the fjord is still filled with considerable glacier debris that has calved. The black lines in the image are the uncorrected scan lines. 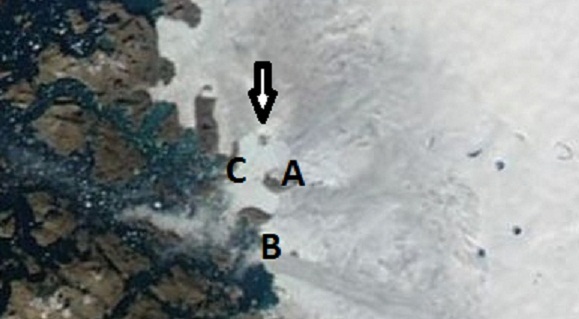 A 2013 Landsat image indicates changes along outlet A as island at Point X, Y and Z emerge from the ice compared to 2002. 2002 Landsat image of region. 2010 Landsat image of region. 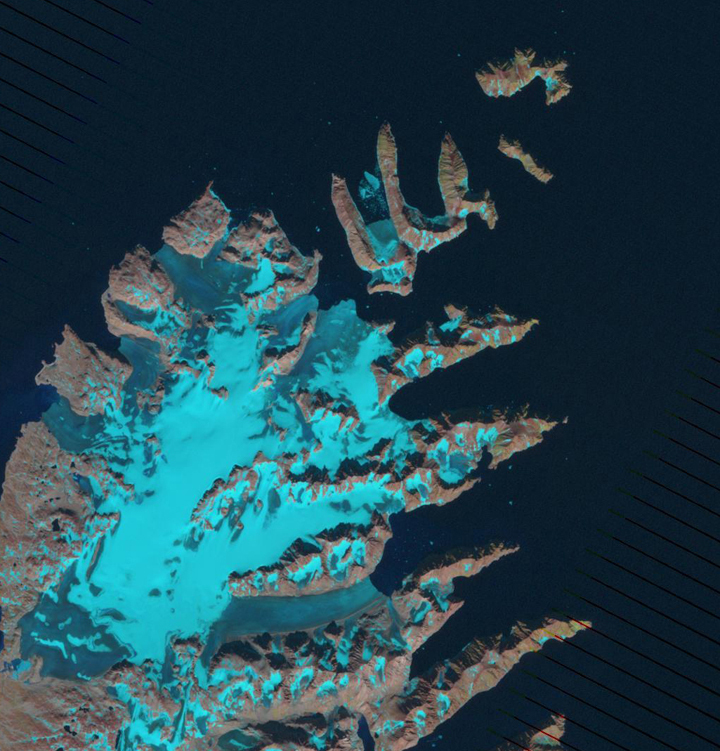 Closeup of 2010 Landsat image of region.